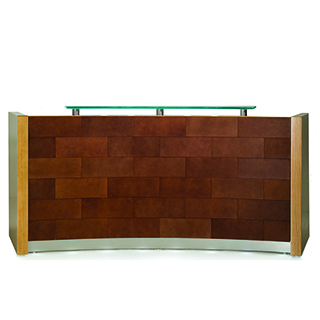 The new Arcus series reception desk was introduced at the 2006 Neocon East trade show. The Arcus has an unusual concave footprint that welcomes the visitors. 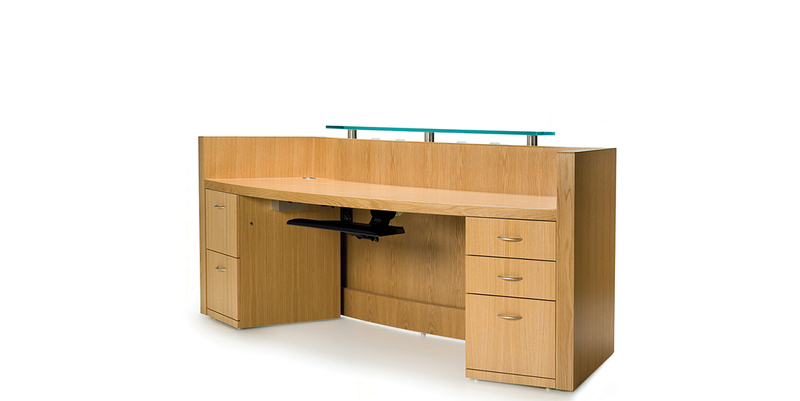 It comes standard with clear glass counter on metal stand-offs and recessed toe kick. 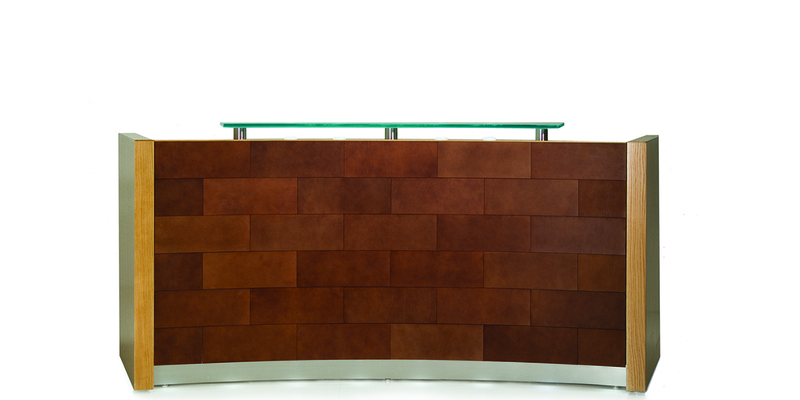 Model in photo features optional LED lighting and leather tiles.